Should You Be Drug Testing Your Teen? A very controversial and not without risks procedure, many parents do drug tests on teens they perceive to be at risk to use or who have demonstrated a history of use, and some parents simply perform prophylactic drug testing as a way to catch problems at their earliest possible opportunity. 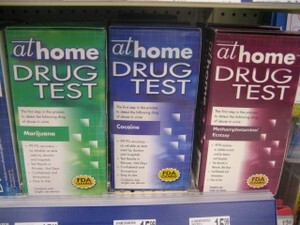 With teens already seeking autonomy, suspicious of control efforts by parents and with fragile trust issues, the risks of drug testing include damaging a maybe tenuous parent child relationship, and the risks may also include false positives or negatives that wrongly reassure or call to action parents based on faulty drug testing equipment, evasion measures by teens, or incorrect test handling. 1 Should You Drug Test? 2 Should You Drug Test? 3 Should You Drug Test? 4 Should You Drug Test? 5 Should You Drug Test?